As company we want to give young people the best possible start in their careers. Long-term collaboration is therefore a key objective of our apprenticeship; something that has also gained recognition outside of our company. Young people need support when they are starting out in their careers. As highly qualified professionals in the making, they are the key to the successful future of Olympus Surgical Technologies Europe. For us, these are just two of many good reasons for offering apprenticeships and making a contribution to society in the process. Between three and five apprentices start their careers every year at our headquarters in Hamburg. For a company of this size, that is quite a modest number. There is, however, a reason for this: "We want to ensure that we are able to hire all our apprentices," explains HR Manager Sabrina Hahn. After all, apprentices should stay on with the company after completing the apprenticeship, for which they are optimally prepared. 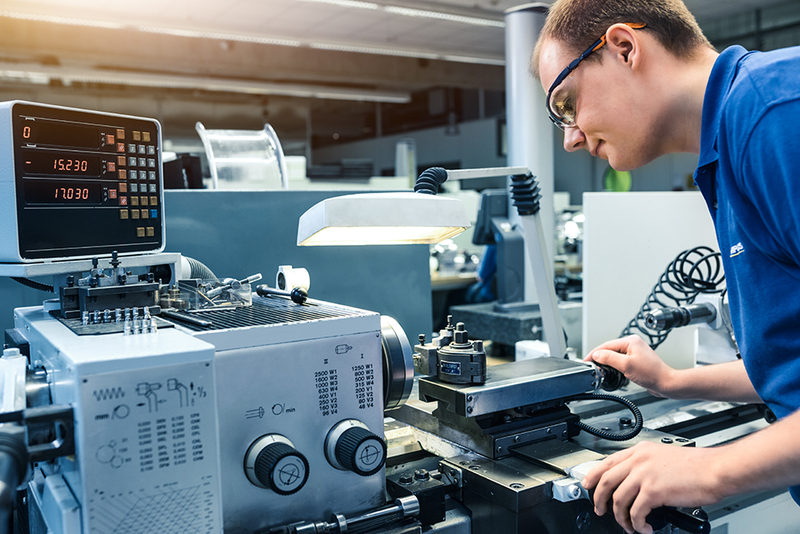 Pupils who are interested in medical technology may choose between two commercial and three technical apprenticeships, according to their personal preferences and skills. 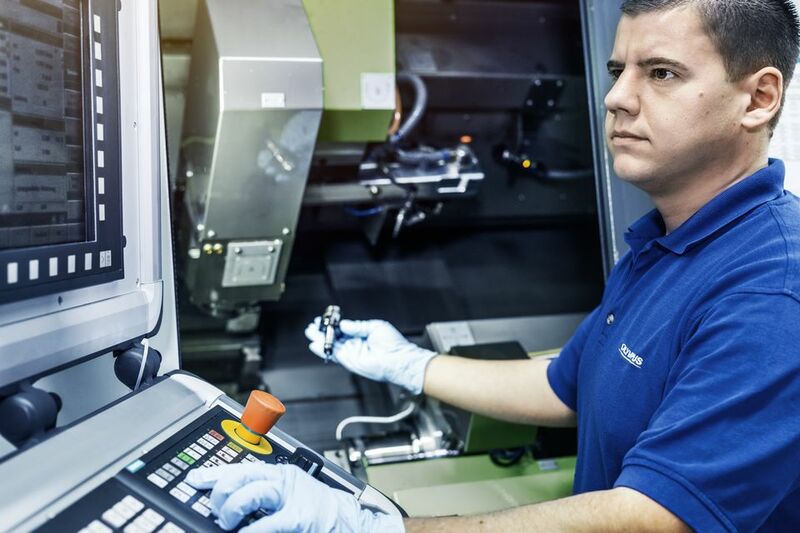 The technical apprenticeships always start in the Technical Solutions Center (internal equipment design), where they learn the basics of metal processing. Like the commercial apprentices, they then move through various areas of the company to gain different experiences and to find out where their individual strengths and interests lie. After the initial training, our apprentices start working on small orders and project work directly. 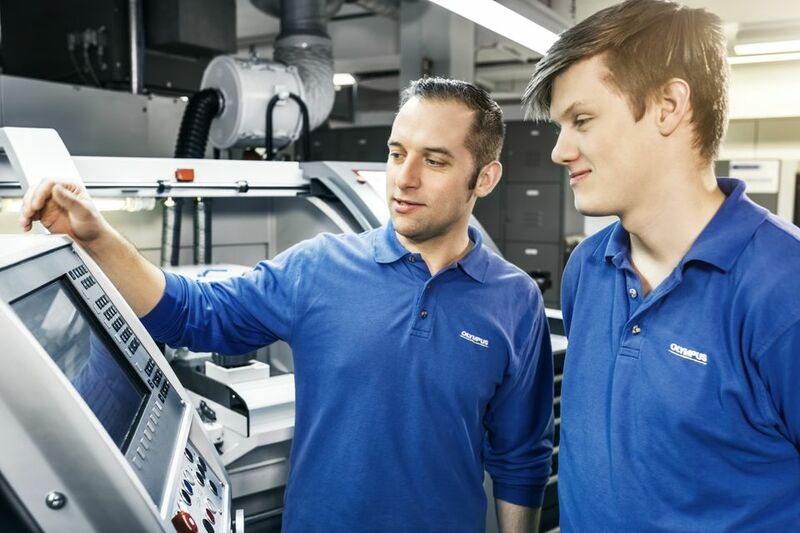 With the continual objective of encouraging independent, unaided work, Technical Training Manager Marc Hammann emphasizes: "Our apprentices are not trained in isolation here, but actually contribute to the product." When doing this, they are supervised by their respective mentors. We usually hire our apprentices after their apprenticeships and try to give them a position in their desired areas. The combination of effective support and guidance, a thorough introduction to all areas of the company and the promotion of independent work pays off. Many of the apprentices stay with the company long-term and we are continually praised for the quality of our apprenticeships. 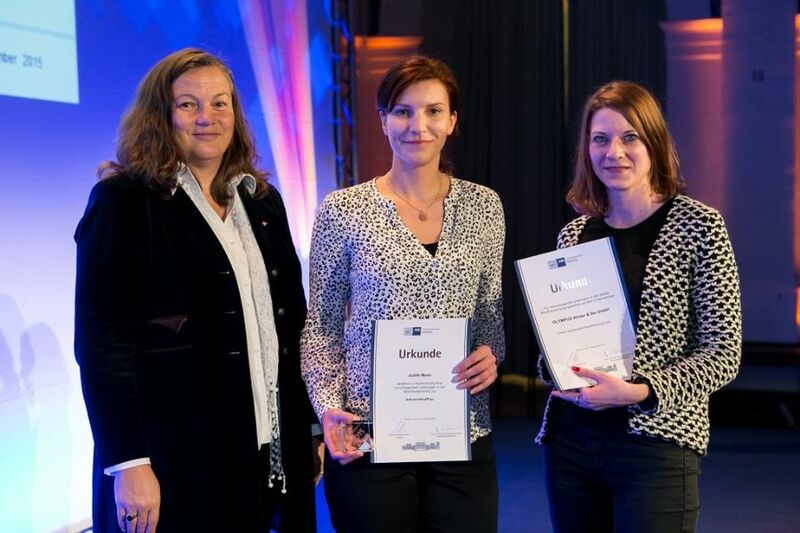 In 2015, two apprentices also received recognition: Judith Meier was honored by the Chamber of Commerce for the best final examination grade of all Industrial Clerks in Hamburg. 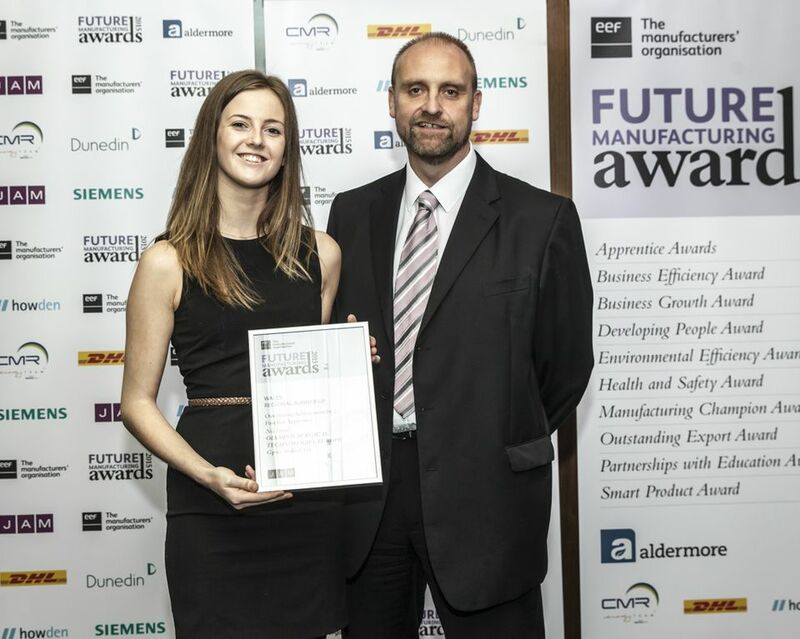 Nia David, who is currently completing her apprenticeship as an Electrical Technician in Cardiff, was awarded second place in the "Outstanding First Year Apprentice Award" out of all the apprentices in her field in Wales. "I am looking forward to being able to support her development at Olympus Surgical Technologies Europe further", says supervisor Mike Lazda. I completed my apprenticeship here and then continued to study at evening school. Now I am the technical supervisor for our apprentices. Apprenticeship completed – what comes next? Marcel Roth was also once awarded "Hamburgs bester Auszubildender" (Hamburg's best apprentice) in the field of cutting machine operation. That was in 2012. Since then the trained Cutting Machine Operator has taken on the role of Team Leader in CNC Production. All trainees who have successfully completed their apprenticeships are offered an employment contract as a matter of principle. This is initially for twelve months, but there is always the possibility of making it a permanent contract. We are ultimately always planning for the long term, as HR Manager Sabrina Hahn says: "We are not providing training for the market, but for ourselves." It was always clear to Björn Wittbrodt that one day he "wanted to learn something technical". He completed his training as an Industrial Mechanic in 2013 and has since worked in cladding tube manufacturing. Alongside this he attends a technical school and aspires to be an Industry Master Metal Worker.